Bafana Bafana to fancy their chances out of Afcon Group D - SABC News - Breaking news, special reports, world, business, sport coverage of all South African current events. Africa's news leader. Bafana Bafana will fancy their chances of advancing to the knockout stages of the 2019 Africa Cup of Nations tournament (Afcon), after they were drawn in Group D. The group comprises South Africa, Namibia, Ivory Coast and Morocco. All the three teams in the group will fancy their chances against Namibia who qualified for the tournament despite a 4-1 loss to Zambia. A win against Namibia and another one against either Morocco or Ivory Coast would in all likelihood be enough to guarantee Bafana a rare place in the knockout stages of the biennial soccer extravaganza. The Brave Warriors, as they are known, are yet to win a match in the tournament having played six in overall in their last two appearances and their group opponents will know failing to collect points from them could put a damper on their chances of progressing out of their group stages. 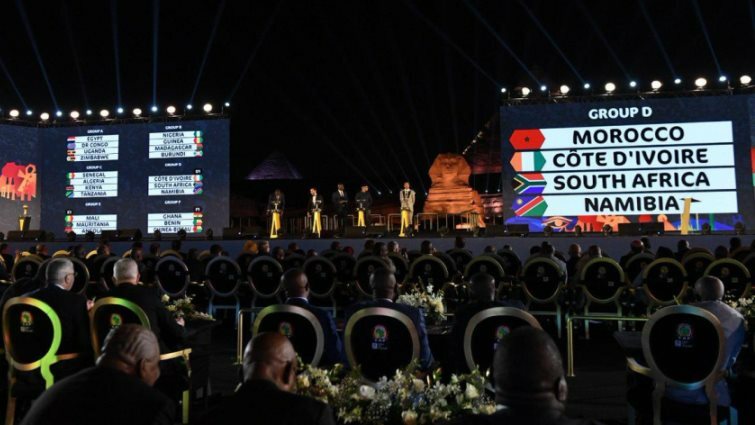 Hosts Egypt, winner of the competition a record seven times, were grouped with the Democratic Republic of Congo, Uganda and Zimbabwe at a spectacular draw ceremony held in Giza on Friday. The tournament will, for the first time, feature 24 teams rather than 16 and will kick off on 21 June. This entry was posted on 12 Apr 2019,10:18PM at 10:18 PM and is filed under Sport, News, Homepage Latest Stories Slider. You can follow any responses to this entry through the RSS 2.0 feed. Both comments and pings are currently closed.